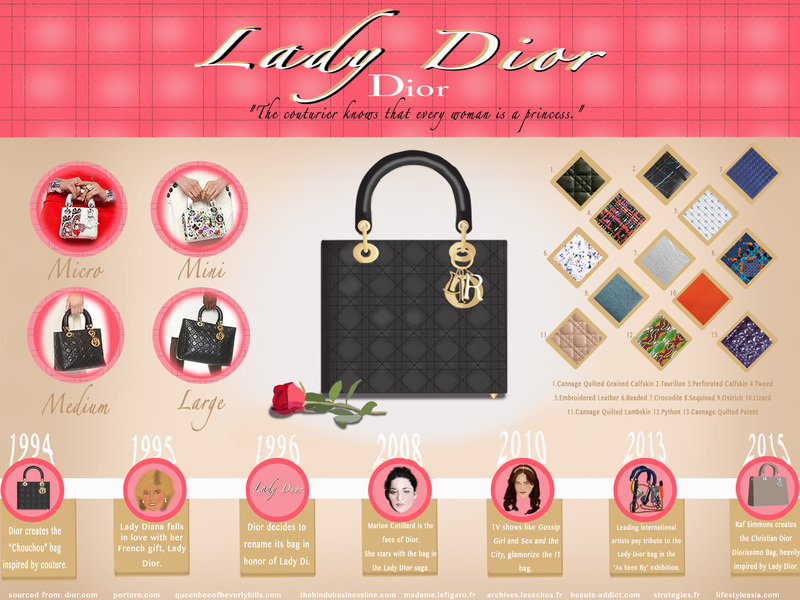 Create an infographic that informs about the Lady Dior handbag, to a younger generation. It will include the bag’s history of the handbag, different versions of size, and different variations of purse characteristics. There is a color theory of neutrals: camel, black and white, alongside with a motif of a rose representing simplistic, bold beauty, which corresponds to the shades of pink. 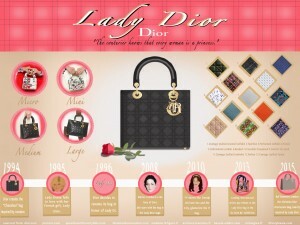 Shapes of the details and facts also mimic the shape of the bag. Everything is digitally painted (with the exception of the photographs of size and fabric). This final draft is clean, simplistic, informative, and even persuading of why the bag is an IT bag. This layout could also be used for other IT bag infographics. I really like this infographic, did the ad campaign get rolled out in the end? Thanks! Yes unfortunately the ad campaign was dropped after the class critique. The top infographic ended being the final, and the ad campaign as a “process,” which the link is provided below it. I love the infographics you make, very easy to understand and look elegant. May you give me tips on how to make infographics from very much data then made simple?